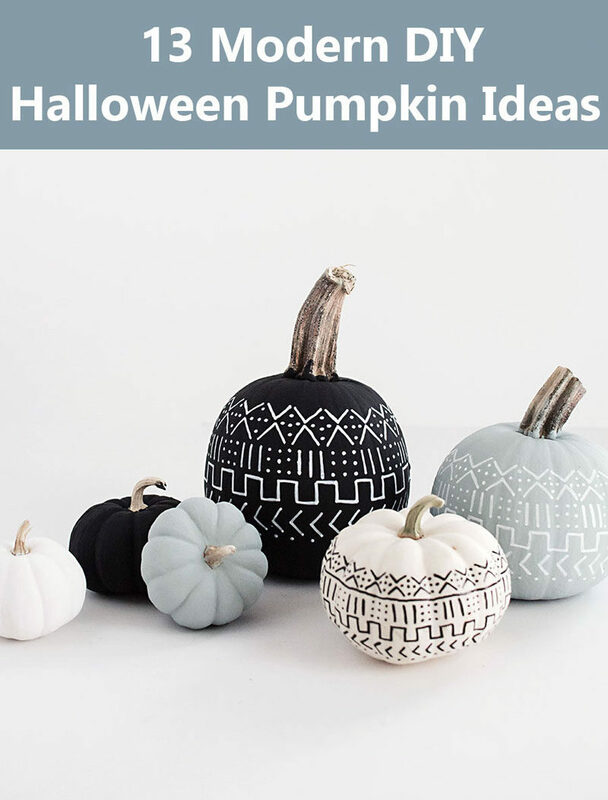 Carving pumpkins goes back hundreds of years, and as fun as it is to stick your hands into the gooey pumpkin guts and draw on designs that rarely turn out the way you’d hoped when you go to carve them, decorating pumpkins can be done in far less gooey ways. 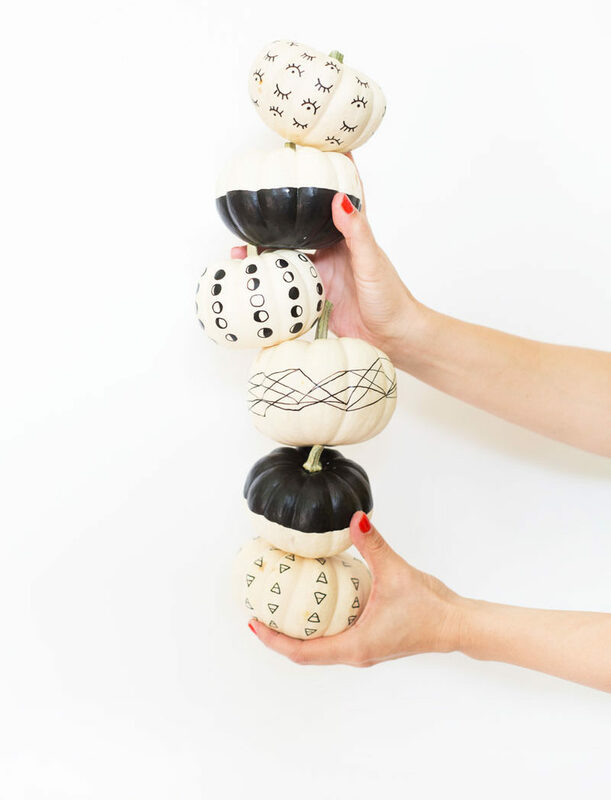 Today we’re sharing 13 ideas for creating your own modern Halloween pumpkin decor. 1. 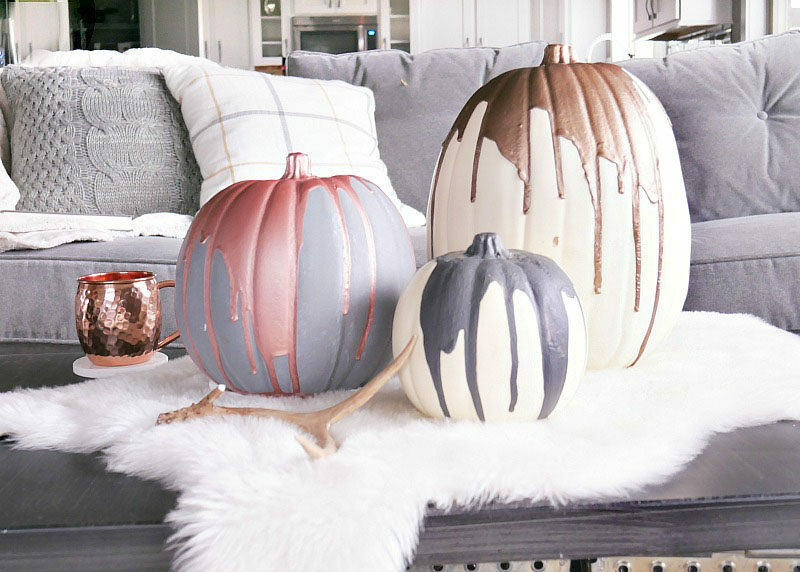 A few coats of matte spray paint and some metallic paint are all you’ll need to create these modern decorative pumpkins. DIY Instructions, here. Created by Design.Dining. Diapers. 2. 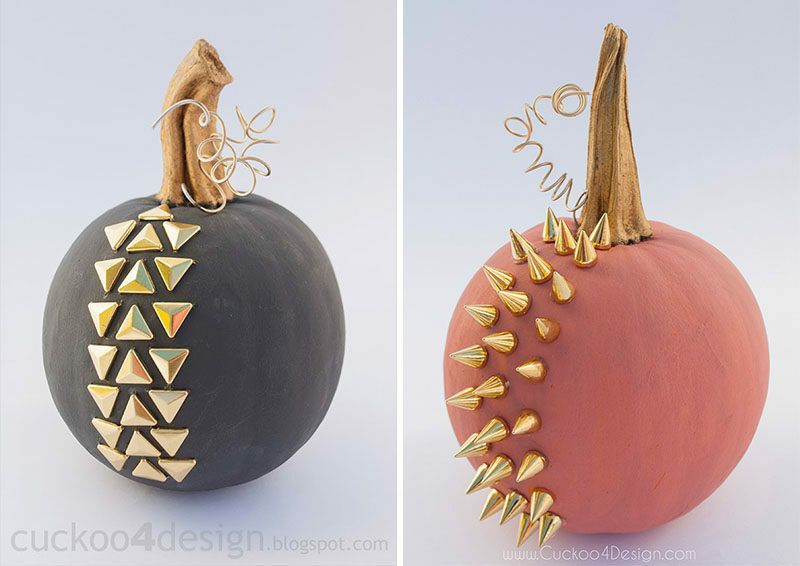 Create these edgy matte pumpkins using chalk paint and studs. DIY Instructions, here. Created by Cuckoo 4 Design. 3. There are so many halloween and pumpkin puns out there. 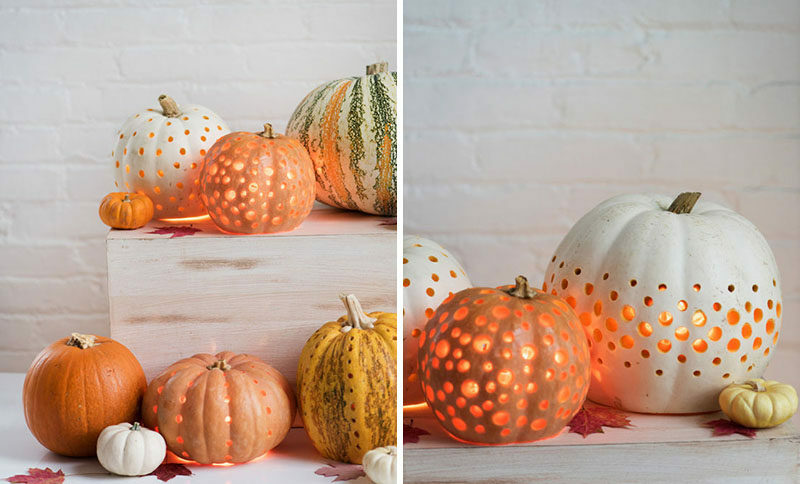 Put some of them to use with this pun-kin DIY. DIY instructions, here. Created by Studio DIY. Photography by Jeff Mindell Photography. 4. 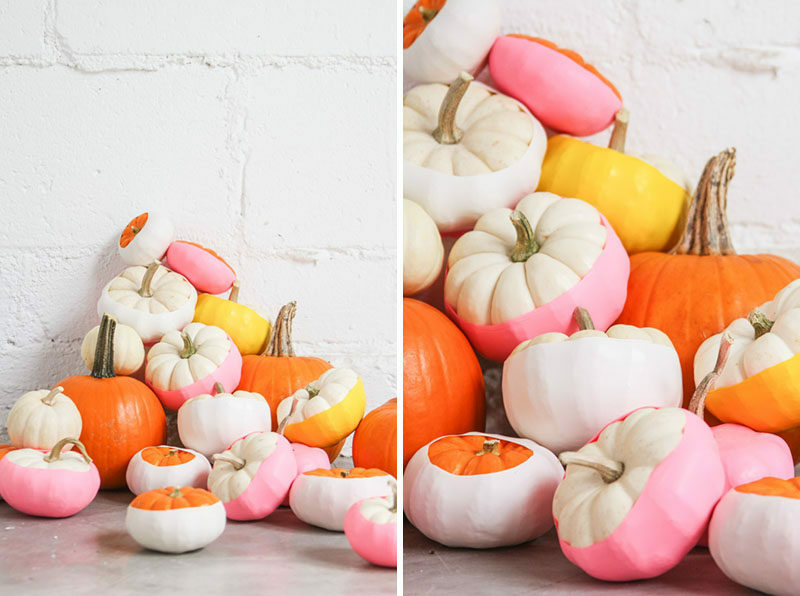 Love the look of color dipped pumpkins but don’t want the mess of paint? 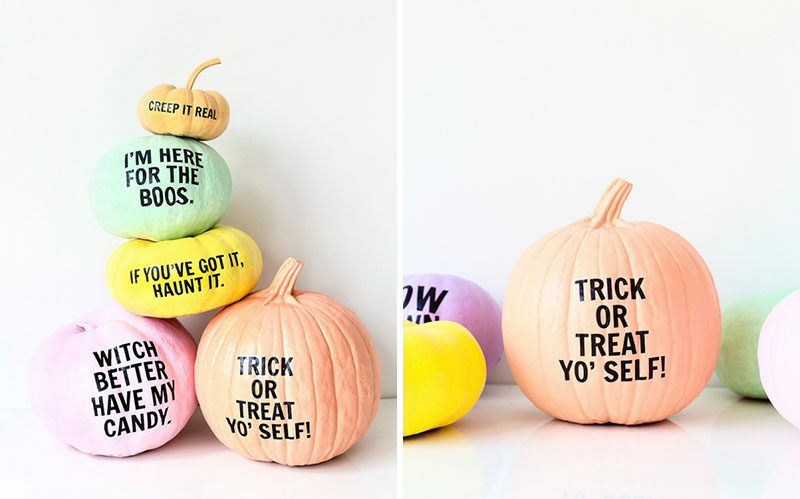 These pumpkins create the same effect but are made using colored balloons instead of paint. DIY instructions, here. Created by Paper & Stitch. 5. 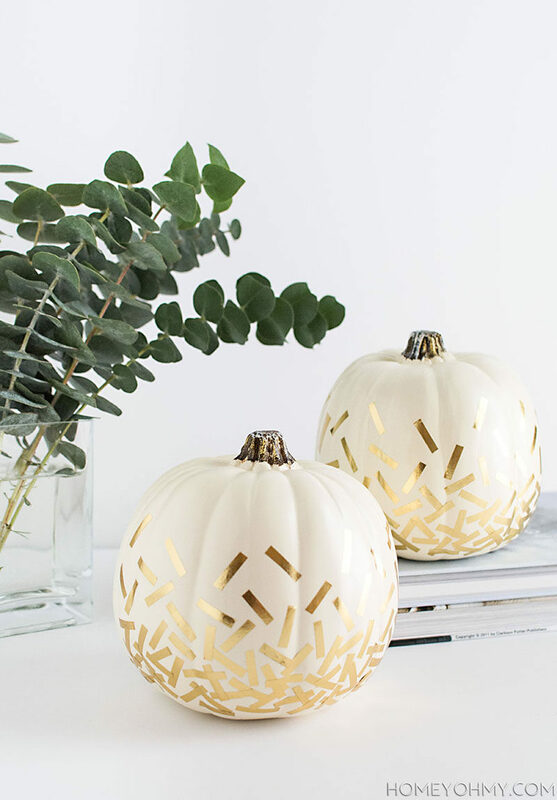 White pumpkins with gold confetti made from washi tape makes for minimal, stylish, and simple no-carve pumpkin decor. DIY instructions, here. Created by Homey Oh My. 6. 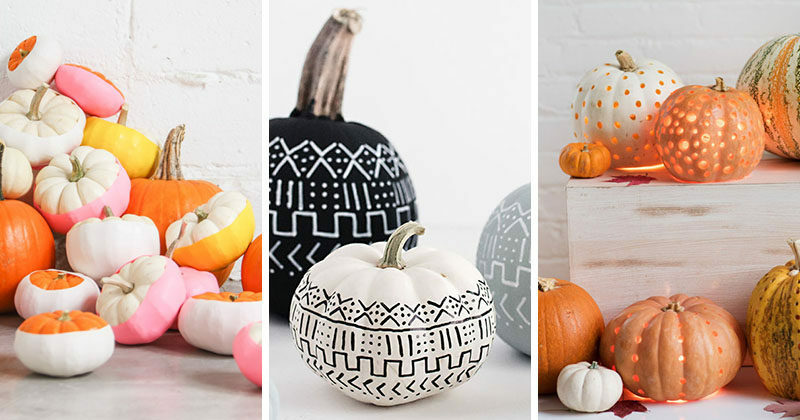 Create a mud cloth inspired pumpkin with some chalk paint and paint pen to include the popular pattern in your fall decor. 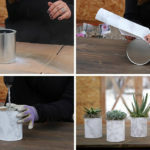 Find the DIY instructions, here. Created by Homey Oh My. 7. 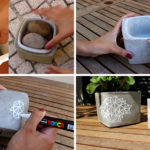 Lose the “jack” and just make a lantern using a drill and a bit of matte finish paint. 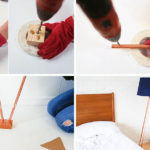 Find the DIY instructions, here. Project by Natalie for designlovefest. Photography by Ivan Solis. 8. 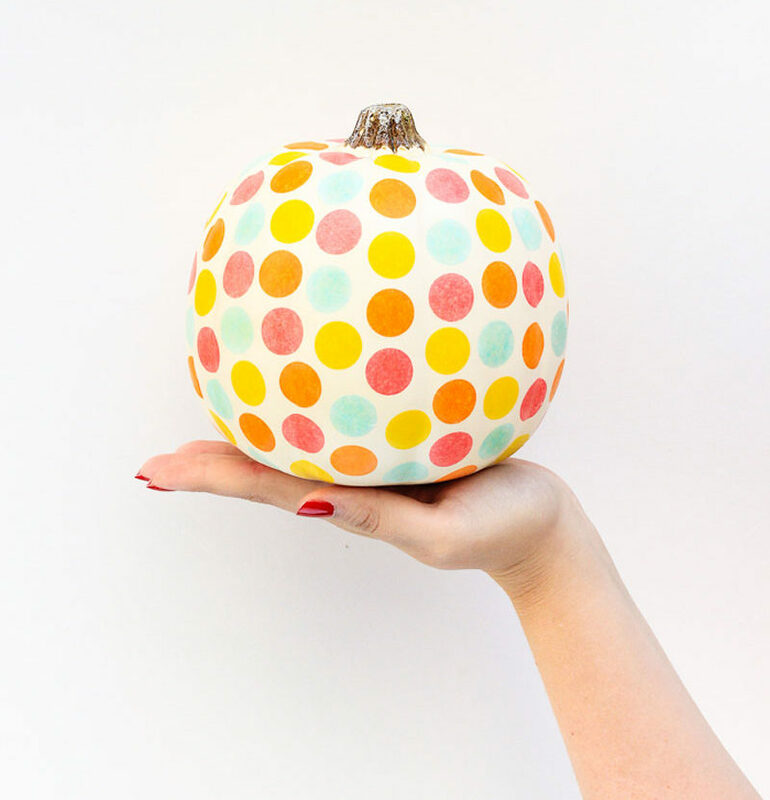 To make this fun polka dot pumpkin all you need is tissue paper confetti and glue! DIY instructions, here. Created by The Crafted Life. 9. 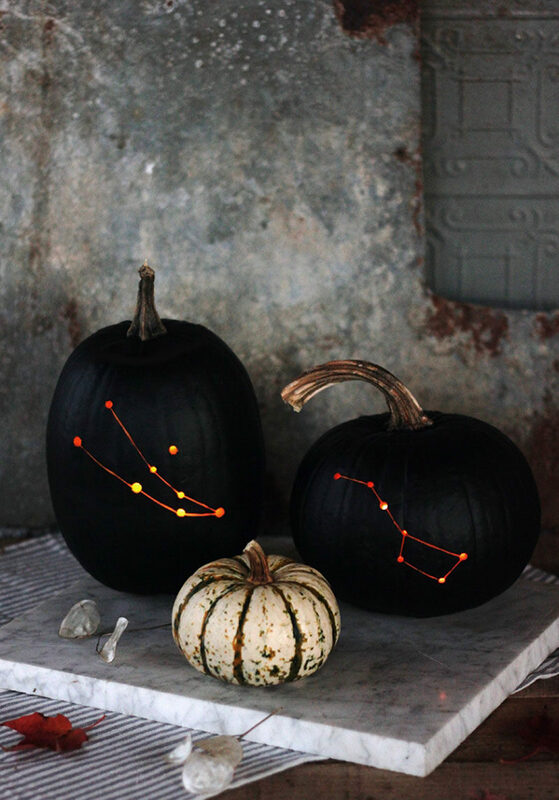 Align the stars with these constellation pumpkins made with a drill, black paint, and a chisel. DIY instructions, here. 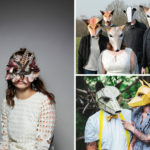 Created by The Merrythought for Design*Sponge. 10. 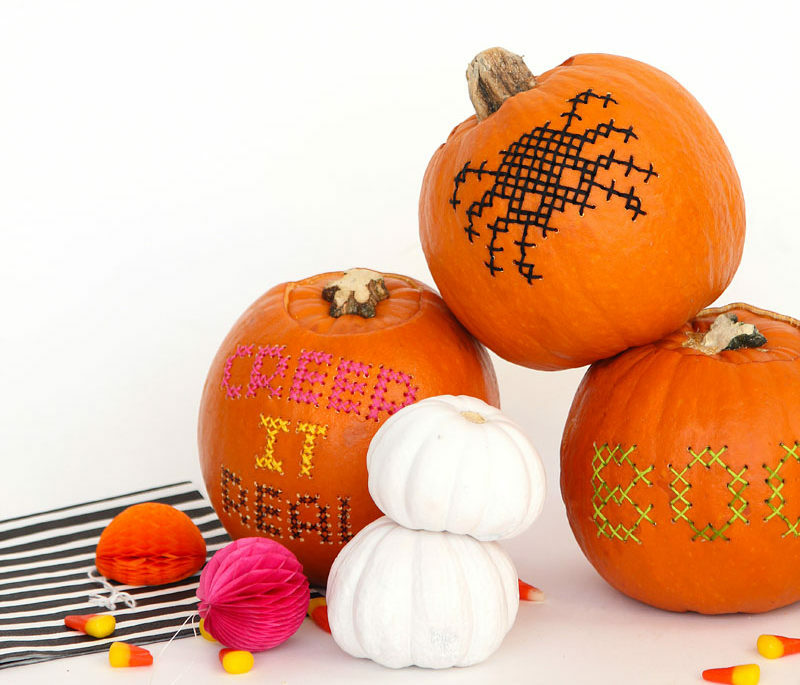 You probably never thought you’d take a needle and thread to a pumpkin, but to make these cross stitch pumpkins they’re the main materials you’ll need. DIY instructions, here. Created by Aww Sam for Design*Sponge. 11. 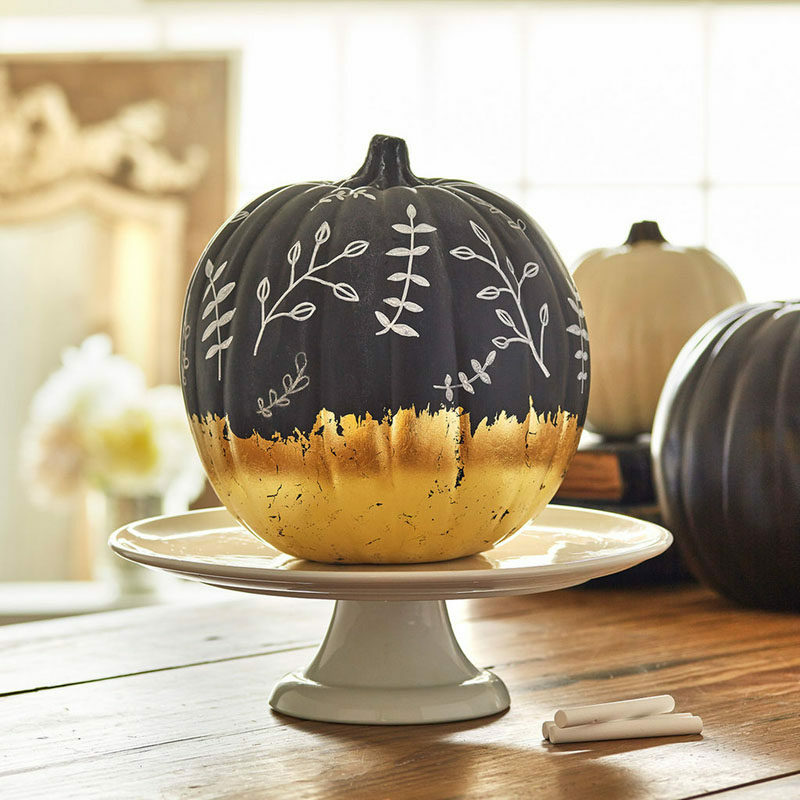 Use chalkboard paint and gold foil to make pumpkins that can be changed whenever the mood strikes. DIY instructions, here. Created by Michaels. 12. 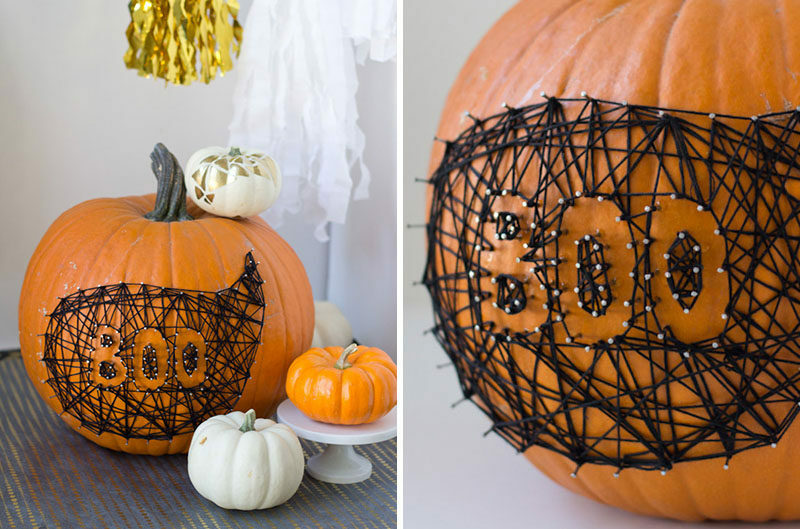 The designs you can make using nails and string on a pumpkin are nearly endless and are so much easier than fighting with a knife to get curved lines. DIY instructions, here. Created by Lovely Indeed. 13. 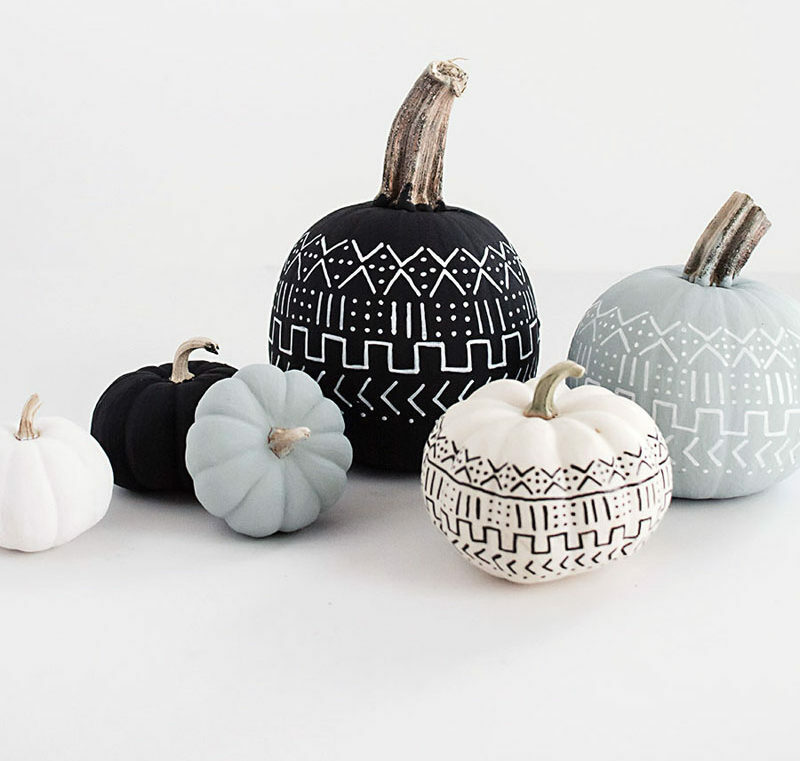 Keep your pumpkin decorating super simple with a sharpie and baby pumpkins.